Welcome to 1-2-Writing! 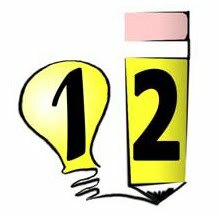 12Writing - Workshops for Creative Writers and Teachers: Welcome to 1-2-Writing! 1-2-Writing is building up to be Knowledge Central for Creative Writing Workshops. Thanks for share this amazing post with us. I read this for my skill but there is just few you share. if you can share more details then can continue read your blog read here. I think we all must attend creative writing workshops so that we can make analysis about writing perfectly. Thanks for sharing such links so https://www.paraphrasingonline.com/7-ways-to-use-rewrite-sentences-generator/ will definitely help us. I am also in favor of these creative workshops which can open our mind to write what we actually want. So from this site we should learn about writing techniques provided by writers and teachers. I do believe most of us need to show up at imaginative creating courses in order that we could help make examination concerning creating flawlessly. Thank you regarding revealing these kinds of back links thus rephraser.net rephraser online will surely aid us all. Writing with such ideas give you best result. this is the only way to enhance your knowledge and click here for more info about writing perfectly.